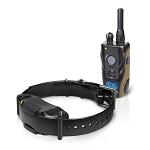 The Dogtra 3500NCP Super-X e-collar is the tool of choice to work dogs in extreme conditions at extreme ranges. Like all Dogtra products, the Dogtra 3500NCP Super-X goes through extreme testing in extreme conditions to withstand the rigor. 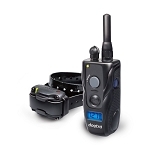 The Super-X excels in conditions where 1-mile range and high output stimulation is the requirement and the norm, such as in advanced pet dog training, hunting, performance, and K9. 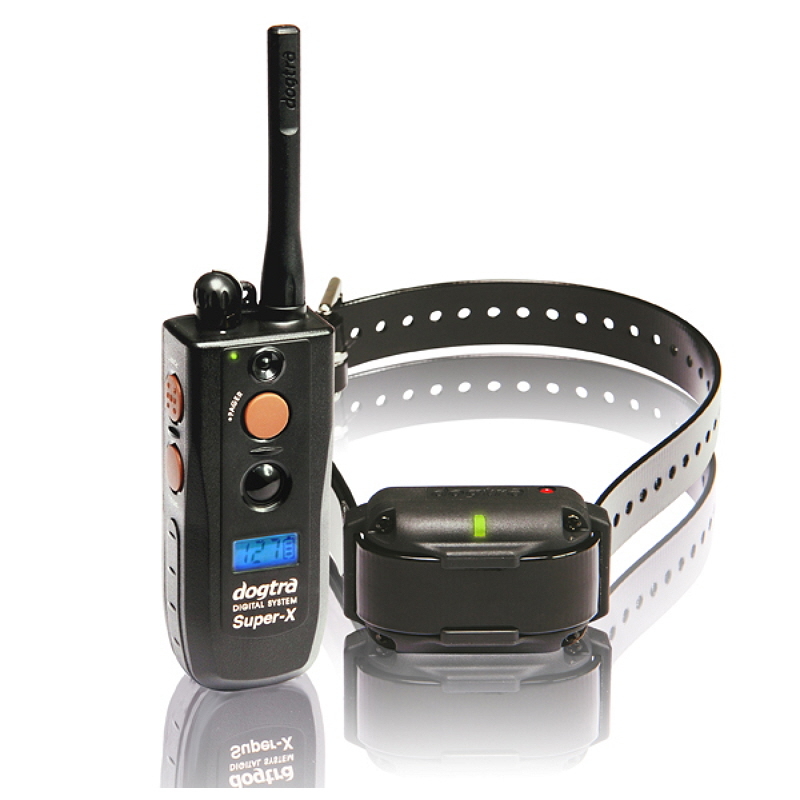 The Dogtra 3500NCP Super-X e-collar is designed to train dogs 35 pounds or larger with 1-mile range, training from a distance. 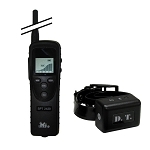 The fully waterproof receiver outputs Low-High stimulation from 1-127 levels and uses a patented Rheostat Intensity Dial technology for gradual and precise stimulation control. 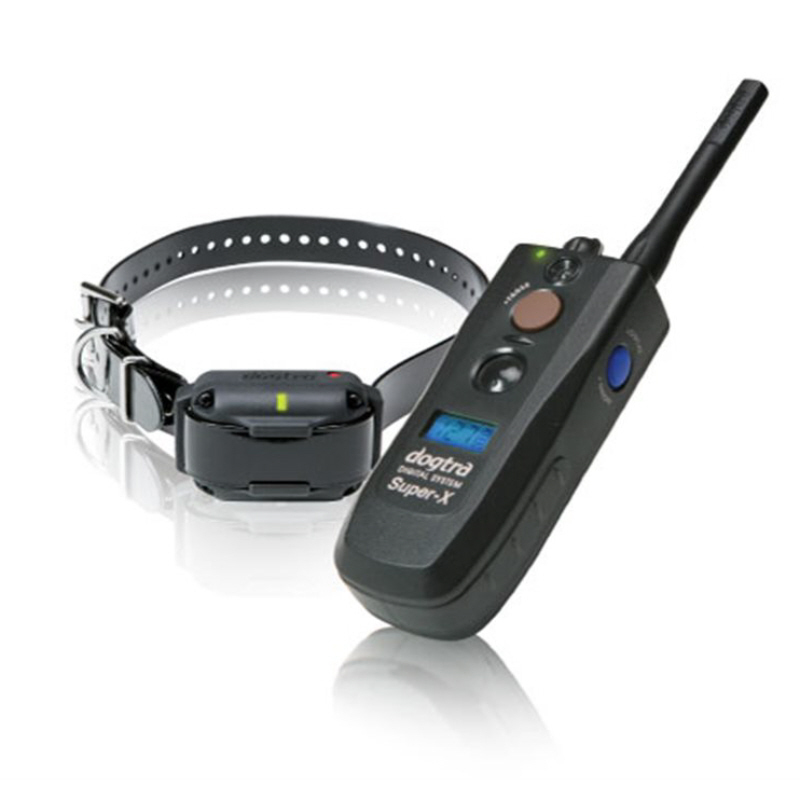 The additional unique feature of the Dogtra 3500NCP Super-X e-collar is the Regular/Mild mode toggle switch to give instant boost or warning stimulation. 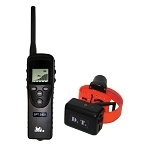 The Dogtra 3500NCP Super-X is also available in the 2-dog system, 3502NCP. Super-X. 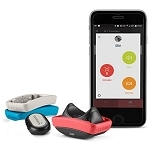 Usually in stock, Ships within 1-3 business days.